Kāpiti Coast District Council’s Parks and Recreation officers have been busy over the past week installing 10 selfie-posts in local parks to make photo-taking easier and more fun for the community. Parks and Recreation Manager Alison Law says she is excited for the new additions to the parksalong the coast. 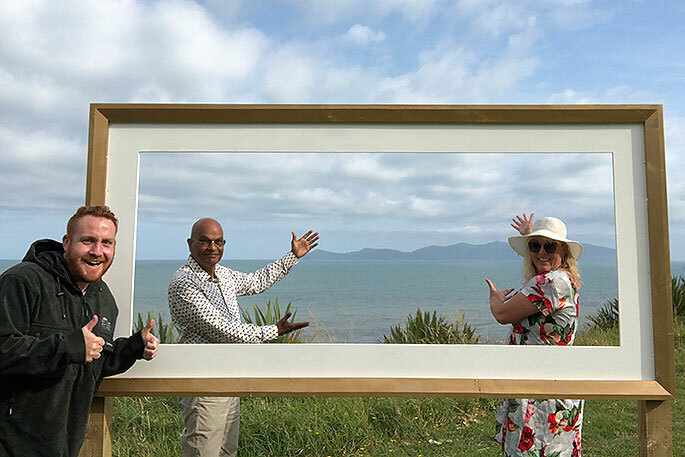 Ms Law believes that Kāpiti Coast District’s selfie-posts are a New Zealand first and sees this as a fantastic initiative that she hopes will inspire people to explore our District’s parks and reserves.